Over the years, we have quite often come across leaks in sprinkler systems that have been caused by service professionals from various industries, not by natural wear-and-tear or shifting soils. Any service professional that performs any type of work or repair that involves going close to or below the ground has the potential to cause damage to your sprinkler system. It is important as a homeowner to understand the potential risks to your sprinkler system as well as what the responsibility is of service company that causes the damage. Have this conversation with the appropriate person at the service company prior to a professional coming to your property. Most often, the service person that performs the work at your property does not know what the legal responsibility is for their company or how their company would approach situations regarding damages. Depending on the service, many contracts involving residential work have language within them that state that the service company is not responsible to damage to a sprinkler system. Some state that if there is damage, they will “look after” having it repaired. The main point is to be sure to understand what will happen should there be damage to your sprinkler system. Do they have an in-house Licensed Irrigator that can perform the repairs? Can the homeowner have their trusted Licensed Irrigator conduct the repairs and then be reimbursed? A helpful thing would be to have the sprinkler heads and valves of the sprinkler system marked in the area of where the service work will be performed. We have performed this service for many customers and this is also easy for the homeowner to perform too. Keep in mind, you will get wet. Turn on your sprinkler system to the zone or zones where work will be performed. Using flag markers (inexpensive and can be purchased from home stores) mark sprinkler heads and valves. Also, most City Building Inspections Departments will have a copy of the sprinkler system in their records. If it is available, homeowners can request this through the Building Inspections Department or an Open Records Request. 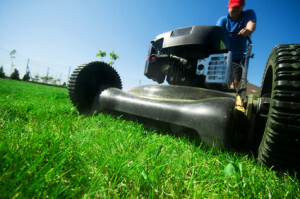 Landscape Maintenance Company – possibility of breaking a sprinkler head with the lawnmower, cutting drip irrigation with equipment, damaging sprinkler lines or heads while working in a flowerbed or shrub bed. Tree Stump Removal Company – possibility of breaking sprinkler lines in the vicinity of the stump during the grinding and removal process. Foundation Repair Company – possibility of breaking sprinkler lines, sprinkler heads and drip irrigation located close to the foundation of the house. Termite and Pest Control Company – possibility of puncturing sprinkler lines during the chemical injection process. Cable Provider – possibility of cutting wires and damaging lines during product installations. Utility Repair Companies – possibility of damaging piping, wiring, spray heads, etc. as these repairs can be in various locations. Pool Installation Company – possibility of tearing up sprinkler system in the backyard as well as damage in areas where heavy equipment will travel. Fence Installation Company – possibility of putting fence poles through sprinkler lines and equipment cutting through piping. Patio/Walkway/Driveway Installation Company – possibility of permanently covering up components of the sprinkler system making them inaccessible and in the process damaging the sprinkler system as well as newly poured concrete. The watering restrictions for Plano, specifically regarding the frequency of above ground watering are once a week. This information was obtained from each city’s respective website as of October 1st.